A Scavenger Hunt with a Dragon at the End? Although I’m the only one who works in the puzzle field, I’m far from the only member of my family with puzzly skills. Mom is a whiz at cracking crosswords, Sudoku, and Jumble puzzles. My younger sister demolishes jigsaw puzzles, rules trivia games and bar trivia nights, and has a knack for tackling escape rooms. My older sister loves city-spanning scavenger hunts like The Great Urban Race. And although the GUR is no longer running, plenty of other events around the country are waiting to be discovered to scratch the puzzly itch of enthusiastic solvers. One of them is coming up in a few weeks, in fact. If you’re near Boston, you can join the Boxaroo crew for their third annual City Scavenger Adventure, The Dragon of Bostonshire! Once upon a present time, in a parallel universe known as Bostonshire, a loud rumbling echoed throughout the land. As the town became concerned, the noble Knights of Bostonshire went to investigate… and lo and behold! They discovered a ferocious, enormous dragon, raging and breathing fire. Alas, the Knights are in dire need of YOUR help- will you and your team be able to help them defeat the dragon before Bostonshire is destroyed? 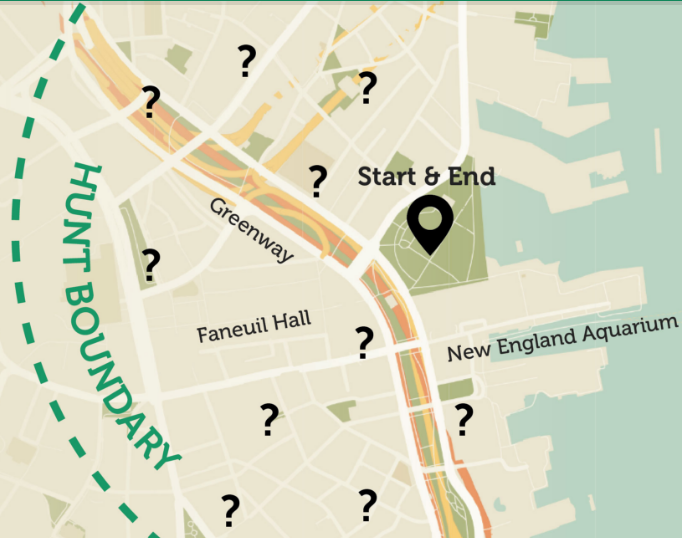 Teams of up to 5 will race around Boston in order to take pictures, solve puzzles, accomplish tasks, and hopefully collect enough clues to return to the park in order to complete the final challenge and slay the dragon! 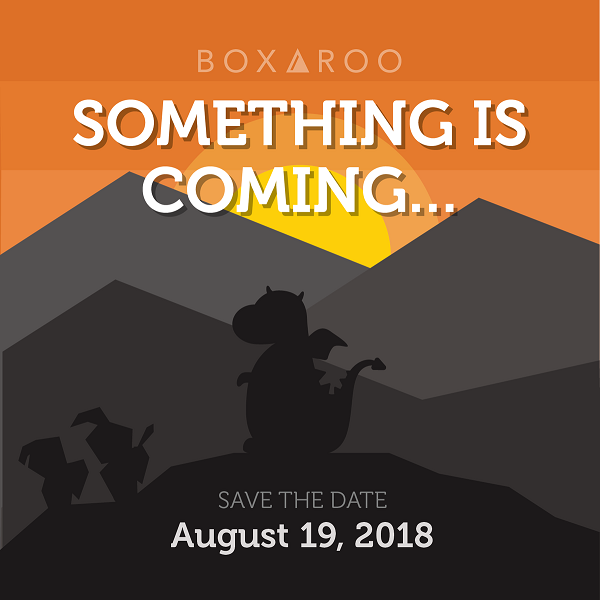 I reached out to the Boxaroo team for a bit more detail, and they kindly indulged me, explaining that the scavenger hunt aspect of the quest is a combination of puzzle-solving, running around, and accomplishing tasks. The puzzle-solving ranges from memory games and trivia to logic puzzles, with each location providing a different challenge to overcome in order to earn a clue. It sounds like an awesome time, and I hope it’s a grand success for the players and organizers alike! Click here for more details! What do you think, fellow puzzlers and PuzzleNationers? Will you accept the challenge of the Dragon of Bostonshire? Have you competed in an event like this one? Let us know! We’d love to hear from you? One of my favorite games that we featured in our New York Toy Fair posts was the dice game Tenzi. The mix of strategy, luck, and quick reaction times made for a perfect storm of chaotic fun. So, when I found out that the team behind Tenzi also had a card game, Slapzi, I figured it was worth a look. Slapzi’s concept is simple. There are two kinds of cards: picture cards and clue cards. You are dealt five picture cards, each one bearing a picture of an object on the front and a picture of a different object on the back. Your goal is get rid of the five cards in your hand. Each turn, a clue card is flipped over, revealing a quality of certain objects (“Not sold in a hardware store”) or a quality of certain objects’ names (“Two of the same letter together”). You need to quickly look at your picture cards and determine which one fits the clue card. The first player to slap a picture card down over the clue card successfully gets rid of that card. The sheer variety of objects on the picture cards — ranging from “hammock” and “teddy bear” to “eagle” and “sandwich” — means that there are plenty of chances to match the clue cards as they come up, but only if your reflexes are fast enough. The creators also included plenty of variant rules, including ones where you match two clue cards at the same time, ones where you avoid matching the clue cards, and even one where every clue card is in play at the same time, with all players racing to empty their hands first. Naturally, we couldn’t resist putting a slightly puzzlier spin on the game by playing with only one side of each picture card available to players. This added a level of strategy to the game, since you had to decide which objects might prove most beneficial. After all, if you don’t have a living creature in your hand, you could find yourself out of luck with many of the clue cards. This restrictive gameplay introduced a more tactical element than some of the other rule variants. That being said, every version of the game that we tried was a lot of fun. The rush to slap cards down, the excitement as your hand dwindles, and even the occasional pause where someone tries to justify an odd choice (like “teddy bear” for “thinner than a pizza box” by arguing about teddies who have lost their stuffing) made for great moments and plenty of laughs. If you’re looking for a quick-reaction card game for all ages with loads of variation for more strategic solvers, Slapzi is an excellent choice. Slapzi is available on Amazon, at various online retailers like The Good Toy Group, and in stores now.